Fans of the Force and the Marvel Universe rejoice! 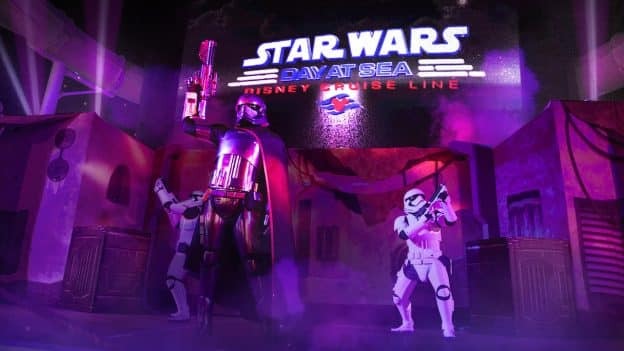 In 2019, epic adventures at sea return to Disney Cruise Line with special engagements of two popular itineraries – Star Wars Day at Sea and Marvel Day at Sea. Spanning two Disney cruise ships, sailing across the Caribbean and Bahamas, these cruises bring Disney and fan-favorite fun to the high seas. I invite you to come to the Dockside! From January to early March, 2019, nine special seven-night Disney Fantasy sailings will transport guests to the Caribbean and a galaxy far, far away. Star Wars Day at Sea is an out-of-this-galaxy experience unlike any other where guests can celebrate the legendary adventures and iconic characters from the Star Wars saga with Jedi, Wookiees, droids, Stormtroopers and others during the special day-long celebration. The seven-night cruise features a full day of Star Wars activities including a deck party spectacular with an extraordinary fireworks display, encounters with the galaxy’s most formidable and heroic characters, Star Wars-themed family and youth activities, unique food and beverage offerings and special merchandise. Star Wars Day at Sea 2019 will only be on Disney Fantasy seven-night Caribbean cruises sailing from Port Canaveral, Fla., departing Jan. 5, 12, 19, 26, Feb. 2, 9, 16, 23 and March 2. You may ask, how do we build a Rebellion from this? I say, we have everything we need. Are you feeling heroic? From January to early March, 2019, 10 special five-night Disney Magic sailings will take guests to the Caribbean and Bahamas, along with an action-packed, day-long celebration of the Marvel Universe. Occurring on one action-packed day during each of the select five-night Disney Magic sailings, Marvel Day at Sea combines the thrills of renowned Marvel comics, films and animated series, with the largest collection of Marvel Super Heroes and Villains assembled on a cruise ship. The event features all-day entertainment including interactions with some of the mightiest Marvel Super Heroes and the menacing foes who oppose them, an extraordinary deck show spectacular, Marvel-themed youth activities, special merchandise and unique food and beverage offerings. 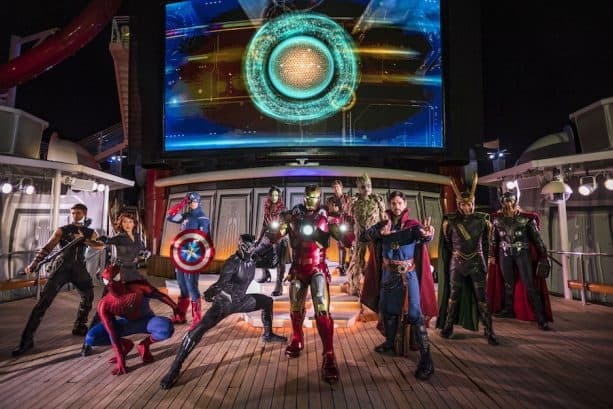 Marvel Day at Sea 2019 will only be on Disney Magic five-night Caribbean and Bahamian cruises sailing from Miami, Fla., departing Jan. 6, 11, 20, 25, Feb. 3, 8, 17, 22, March 3 and 8. Are your Spider-senses tingling yet? 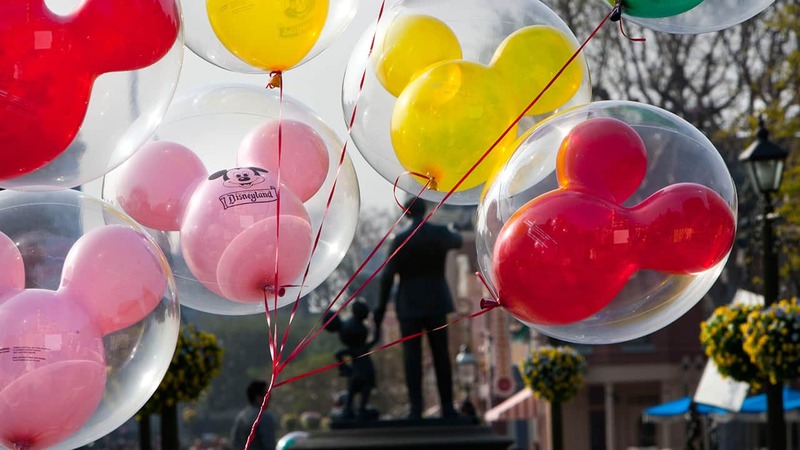 Stay tuned to the Disney Parks Blog as we share more excitement afloat on Star Wars Day at Sea and Marvel Day at Sea! I too am disappointed that Disney is offering so few sail dates for the Star Wars theme cruise. I was hoping to do a spring break or summer cruise and surprise my son but unfortunately the dates do not coincide with his schools spring break. I’m hopeful that Disney will see the demand for the Star Wars cruise and add more dates. Keeping my fingers crossed. I been waiting and hoping that Disney will announce the return of Star Wars Day At Sea for 2019 and now that they did i am very surprised its only for January to first week of March. Why did they not have it in April as well like the last 2 years? I was hoping to book for April but now i am forced to book for February which is giving me a headache because i hate traveling in the winter time. i rather much travel in spring or summer and i see i am not the only one that feels this way by reading the top comments from other readers. Its a real bummer, Star Wars is very popular and SWDAS should be expended not shorten on the dates. By the way don’t you think it will be a good idea to have the last SWDAS of the year for a May 4th sealing, It would be really cool if you think about it. And guess what May 4th is on a Saturday in 2019, How perfect is that for may the 4th be with you? For the other readers i read in comments about missing SWDAS by one week if you really wanted to you can change your cruise date for SWDAS call your agent. We booked for March 30, 2019 in hopes that it would be a Star Wars Day at Sea. In year’s past, it has been. Our family has been looking forward to this trip since my husband returned from Afghanistan last October. This was to be a very special, once in a lifetime vacation for us. I do find it interesting that in 2016 (the first year of Star Wars Day at Sea) there were 8 sailings. In 2017 & 2018, there 15 sailings. Suddenly in 2019, it drops back down to only 9 sailings and is only offered January – early March. Why is that? I don’t know why Disney only does these cruises from Jan-Mar. I would love to do one but I don’t generally travel to Florida at least until the Spring. I also wish they would do a few of them on the sea day of the their 4 day cruises. So sad that the Star Wars cruises are ending March 2nd. We have been planning to go in 2019 for Spring Break specifically for this cruise and now we will miss it by 1 week. So sad that they aren’t going to continue the Marvel Day at Sea on the New York cruises. Looks like so much fun. Any hope that they will do Marvel Day at Sea out of New York again in 2018?